The Westown Hotel is a mid-range hotel conveniently located within Smallville, a popular dining and entertainment complex in Iloilo. It attracts a lot of people who are looking for decent amenities and an excellent location in the city’s nightlife center. The hotel is part of a bigger complex that includes a MO2 resto-bar, MO2 Ice (dance club), and El Dorado Waterpark that are all part of the MO2 brand. 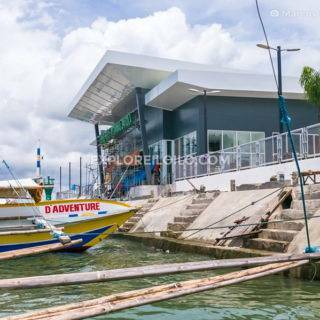 In addition to Westown Hotel’s own food choices, it is a short walk away from many of Iloilo’s best restaurants, coffee shops, clubs, and bars. It is also a short walk away from Atria Park District, a large development by Ayala. Westown Hotel is located along Glicerio T. Pison Street, Benigno Aquino Avenue, in Mandurriao, Iloilo City. It can be easily reached by taxis and jeepneys. Traveling to or from the Iloilo International Airport takes around 20 to 30 minutes. My family checked in on Dec. 24 in 3 rooms and eventually 1 room was vacated by my daughter and her husband as they went back to Singapore. Hotel employees were all courteous and helpful except for one (1) guard assigned at the car park who is rude and antagonistic. This guy is a liability to your hotel and he is usually assigned at the park during night time. Better have him attend seminars on customer relations otherwise he will remain a liability to your hotel. We normally stayed at Westown everytime we go to Iloilo but with this guard around next time I will have to think twice going to your hotel again as he has given us a hard time and hardly gave us a parking space even though we were guests of the hotel. This happened on Dec. 27, 2012 at around 8:00 PM. Your hotel management has to discipline this guy or better still assign him at other areas and should not be allowed to deal with the hotel guests. First of all, a warm Holiday greetings to you and your familes. It’s unfortunate that I have to post this comment at the time where gift giving, kindness and love are reigning. I am an OFW here in the Middle East planning of coming home in January. My problem started while booking a room at the MO2 Westown Hotel Iloilo. A couple of days back, I have phoned MO2 Westown Hotel and inquired about booking a Deluxe Room for 3 adults. The lady that I spoke was very thorough when she said that for Jan. 20, 2011 the Deluxe Room for 3 adults will cost me Php1,800/night which is also the same rate published on their website when I checked. To proceed with the booking, I was advised that it would be better to do it online or write them an email. So I booked online on the 23rd Dec and received a response on the 28th Dec with a confirmation number. I have written back to MO2 Westown Hotel thanking them and also requesting for the detailed confirmation of my booking. They wrote back and said that my reservation for “deluxe twin (2 single beds) @ 1800/night”. And then after over an hour, they wrote again saying that the rate has gone to Php3,500/night because of Dinagyang Festival. I politely tried to bring to their senses that they have confirmed my reservation at Php1,800 and that I am willing to have a compromised resolution but they wouldn’t agree. They insisted that the rate for my reservation is Php3,500. I am appalled with the kind of response. The misinformation is their mistake alone to which I cannot be made accountable. And from Php1,800 to Php3,500 which is nearly a 100% mark up is complete rip off! I understand business is business and revenue is very important in this highly stressed market. But if we truly want to promote Philippines, I believe the doing is wrong. Hotels should be a facilitator, not an inhibitor to a traveler’s needs especially tourist. I don’t normally write complaints/comments but this I felt compelled. You all take care and enjoy your holidays. if 3500 is their price for you, let them… I suggest, you get another hotel.. have a protest.. boycott… hehe..
I’ve asked for a room with a nice view of the citylife. I was given a key to Room 207. Peek through the window, all you see are roofs. I was told, i’ll have a view of the bars and the nightlife. Called up the front desk just now. I havent recvd a callback. Tsk. well the hotel is really nice, but the people working in front desk is not… when i was in the front lobby they have a new employee but this lady(receptionist) is not teaching the new lady at all.. how stupid it is right? i end up talking to the new lady, remember f sum1 trains u the job. theres no way u dont know how to handle it.those people who know how to share there knowledge will be sucessful at the end,i realy want to talk to the manager.. this days ill call her, and i know the name of that lady. so terrible, but i know that the place is awesome.. it was a lovely experience, ill be back soon..
check out Westown hotel’s website below, it has room rates and pictures. Before you decide make sure to read some comments about the hotel so as not to regret your stay. Enjoy! I have stayed there 3 nights. Horrible nights because of the noise of the M02 ice dance club. Until 3am I was unable to sleep. The service in the WestcafÃ© is horrible too. They kill flies on the tables but don’t clean the tables immediately. To have breakfast there you need a lot of time. Then they don’t have bread! You have to ask for tissues, the salt the pepper, the bread, until you eventually have it all. Maybe it would have been better to stay in the main building but not in the bungalows around the swimming pool. I’ve been a patron of this hotel for the past 2 years and i swear to God that MO2 Westown Hotel is no doubt the Best Hotel in Iloilo so far and is definitely second to none. Personalized service, up standard amenities, good security & the Best location in Town. hmmm advertisement ahhh, but how much ang rate nila? we stayed at westown hotel during dinagayang 09, at first i dont want to stay there coz its very far from city proper, but i was wrong coz now smallville is the center of entertainment in iloilo.Its so nice to stay there take breakfast at pool side, go to mo2 ice at night,its complete. If you want videoki, get bored want billiards, everything have, so i strongly recommend westtowm hotel much much better than ilolo business hotel. nice hotel, very friendly and mga staff..
contact nos. 033-320225/033-5095678 ; only have 1 function room max person can accomodate is 250 person. 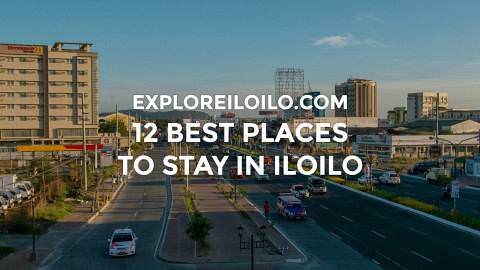 Sorry but ExporeIloilo.com is not connected with Westown Hotel. If you want room rates you can contact them using the contact details provided. ROOM RATES PLEASE. :) THANKS. we had a 4day training session in iloilo, and originally we are checked-in in one of the hotels along quezon st. near our office, but due to some reason or rather unexplained feelings, we decided to check-out and transfer to another hotel. One of our officemates based in iloilo, suggest to stay na lang sa westown. lobby area pa lang ang ganda na, mas lalo pa kami natuwa pagdating sa mga rooms.. if i’ll be back in iloilo, siguro id rather choose westown hotel. the best ang hotel! I stayed at the Westown hotel for a couple weeks in march of 2007, very nice place to stay, very reasonable rates, close to nightlife and SM city mall. Service is excellent. Clean new hotel with big meeting room and cafe. I will be staying there on my next trip to iloilo! But when I look at the picture it is situated in a very nice place and because mandurriao is a nice place specially near SM city. I also stayed in Mandurriao at the back of Iloilo supermarket beside regional hospital. may I know the room rates please because on July I’ll be bcak home… miss ko na gid da sa aton… 6 yes=asr nga wala na ako nakapuli eh. mo2 westown hhotel is a newly opened hotel. one of the best in iloilo city! I again wanted to ask if Westown Hotel has function rooms for big occassions like for wedding receptions.